This is Part 2 of my thoughts on the importance of Project Info; it’s mostly a hodgepodge of ideas that didn’t fit into the previous post. If you haven’t read Part 1, I suggest you start there. A long time ago I used to dump all sorts of project specific data into Project Info because it could be used as Autotext. I’d fill up the Project Info with typical plate heights, floor to floor heights, and other useful data. All stuff I would want to reference elsewhere (like in a detail). It wasn’t ideal, but back in 2010 when I was doing it, it was pretty clever. I could update all my duplicate notes across all my drawings with a few clicks. Overtime I realized that this information was too disconnected from the model and found better places to put most/all of the data. Because it’s an interesting historical document, here was one of my early experiments with Project Info: For this project we wanted to label a lot of dimensions in the details. I turned the dimensions into Project Info, so that they could all be linked via Autotext. For this project it became a lifesaver because very late in the project we changed the height of the basement. At the time we didn’t want to deal with changing the model, so I just updated some of the Project Info dimensions and everything got built beautifully. In 2016 or 2017, I wouldn’t work this way, but back in 2008 it was a smart move. It shows how we can use Project Info to organize important information that doesn’t, or can’t, live in specific elements. Notice that many of the bits of information listed above now have better homes in ARCHICAD. I listed DRAINAGE PLANE because I wanted to note that in details, but we didn’t yet know what it’d be. The plan was to eventually update that note and magically have any reference to drainage plane across every drawing be fixed. 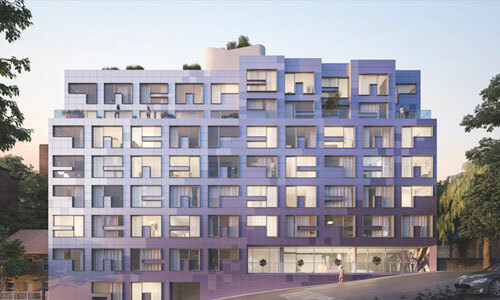 Today, that note would probably be linked to a Building Material, Composite, or an ARCHICAD Property attached to the element (remember you can place a Building Material as a Fill in a 2D detail and have a Label automatically show the BMat’s name). I had a basic Lighting Schedule listed in the Project Info—I really liked (and still like) the idea of working in one location rather than across countless Views and Layouts. Today I actually have the lighting schedule pulled from placed Objects (and prior to Objects I used Fills which can also be scheduled); I can now work on the elements directly from the schedule, which is a better workflow. Finally, you’ll see I had project status and date of issue as items in Project Info. Both should now be pulled from the Change Manager and Issue History rather than Project Info (though I admit, I still don’t always do this). This transition highlights a hierarchy of value: date on a Layout is worse than date on a Master Layout which is worse than date as Autotext from Project info which is worse than using Issues in the Change Manager with a faked date which is worse than using Issues in the Change Manager with the computer system date. The shift is from local, manual data to global, automated data. In the comments we can argue the exception to every single one of those worse than statements because I can think of a few arguments for and against each. Project Info is attached to a BIMx model when you publish it. This is a mixed blessing. To access this info in BIMx, click on the “i” to the right of the project in the Hyper-models list when you open BIMx. Having all the Project Information in BIMx is great because it’s all useful data for whomever is looking at the file. From BIMx, they’ll have phone numbers, e-mail address, contact names, addresses, etc. Everything a contractor, consultant, or supplier might need to engage with the project or team. Additionally any addresses or URLs are clickable and take you to either a map location or an external website. This means from one location in BIMx, you can access all sorts of important non-local data such as links to the county or permit office website. If you build a project specific website, there could also be links directly from Project Info to that site as well. That is all fantastic and expands the utility of BIMx and the ARCHICAD model. But there is also a downside: everything in Project Info is attached to the BIMx model. This means if you populate Project Info with garbage like I did when I first started exploring Project Info, all of that will show up in BIMx too. It might be useful to have key text strings in Project Info to use as Autotext, but the result is cluttered Model Info in BIMx. Of course, done properly this could be an advantage: imagine if under Model Info in BIMx was a list of notes that describe all the critical assemblies or code issues that show up in the details. Beyond the potential of a massive list of seemingly random data, you might find that there is private information in Project Info that you don’t want in your BIMx models. 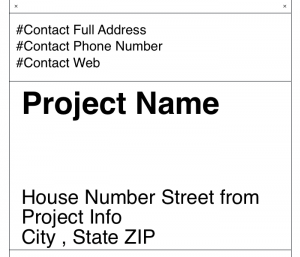 I’m an advocate of storing all your client contact info in Project Info because it makes life easier while working on the project. But it also means you need to scrub that data from your project before publishing to BIMx or accept that your BIMx file will include your client’s name, e-mail address, phone numbers, etc. This might not be such a horrible thing. But then again it might create more headaches. The proper solution depends on the client and the project, so there’s no right or wrong answer. Just be aware that Project Info will show up in BIMx. If you want to limit what Project Info shows up in BIMx, think about exporting your Project Info to an XML file, deleting the data from the Project Info you don’t need, publishing the BIMx file, then importing your Project Info back in (or you could save the project, delete the data, publish the BIMx file, then reopen the file from before you deleted the Project Info). If anyone wants to talk more about that process, we can discuss it in the comments. I’ve never tried this, so it’s just a theoretical approach. And be aware if you do this, make sure to keep Project Info that’s placed as Autotext. After all, your documents need that Project Info to be a complete set. Deleting some Project Info and having URLs that show up as clickable links in Model Info in BIMx gets me thinking about marketing materials. Imagine making some BIMx models that are available for download on your website. The models are of some of your favorite projects, with key information stripped out of them—maybe you only show a few example Layouts, not the entire set. Instead of the standard Project Info, you replace the majority of it with links to your website, links that show more information about working with you as an architect, client testimonials, or your various social media accounts. If you want more information on using BIMx, check out this article by Link Ellis of BIM6x. I came across it while researching this series of posts on Project Info and it’s a great overview of how to start using BIMx more effectively. I always access Project Info via my keyboard shortcut (see the first post for more on that). But if you go to the Info sub menu in the File menu, there are some other useful features. I’ve already talked about Project Preview in a previous post, but I want to end this post with some thoughts on Project Notes. I’ve never used Project Notes, but I probably should. I think we probably all should. Project notes is a text window that is designed as a generic space to catalogue what’s going on—hours worked, to do lists, etc. Whatever might be needed. I’m always making notes about projects, often to the side of where I’m working. Or on a physical piece of paper. Or outside the printable area of a Layout. All of those places are less than ideal. Project Notes is better. Project Notes, like Project Info, is centralized. If you use Project Notes for all the to do lists and general things to remember, you have one place to look, one place to remember. Project Notes has been around forever, but Tabs make it possible for Project Notes to always be open, tucked away in the first (or last Tab). 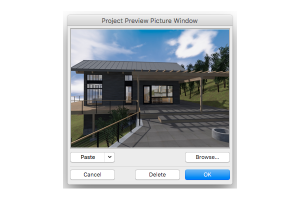 Also Project Notes can be accessed via the Project Map or saved as a View and appear in the View Map. If you save Project Notes as a View, it can sit on the top of your View List. I’ve yet to work this way, but I’m going to try on the next project. I have a hunch it’s going to be one more organizational tool that I’ll soon not be able to live without. 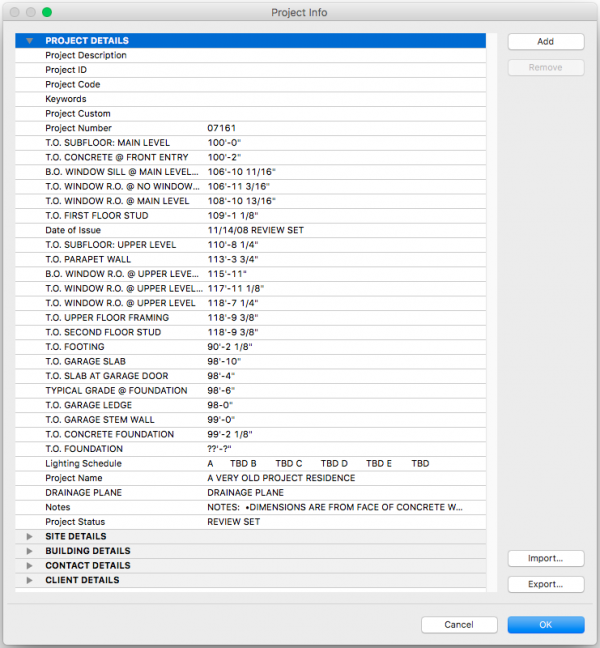 I’ve already put “add Project Notes” on my list of things to include in the next revision of my ARCHICAD template. Autotext Reference Drawing (ARCHICAD Help Center article showing another cool feature of Autotext).